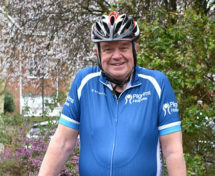 The much-loved Pilgrims Hospices Cycle Challenge will celebrate its 10 year anniversary on Sunday 5 May 2019, raising even more vital funds for the charity. 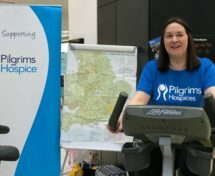 Brambling Fundraising Group based in Canterbury has once again excelled in their fundraising for Pilgrims Hospices raising £11,600 during 2018 for local hospice caretaking their total to over £78,000! 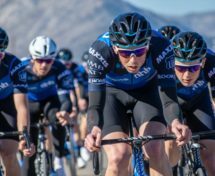 Professional cyclist Alex Paton shares advice for cyclists ahead of Pilgrims Hospices’ 10th anniversary Cycle Challenge event on Sunday 5 May 2019. 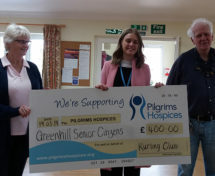 Herne Bay community group, the Greenhill Senior Citizens Club, recently presented a cheque for £440 to Pilgrims Hospices. The club, who are regular charity fundraisers, has raised a total of £1,805.50 since 2001.